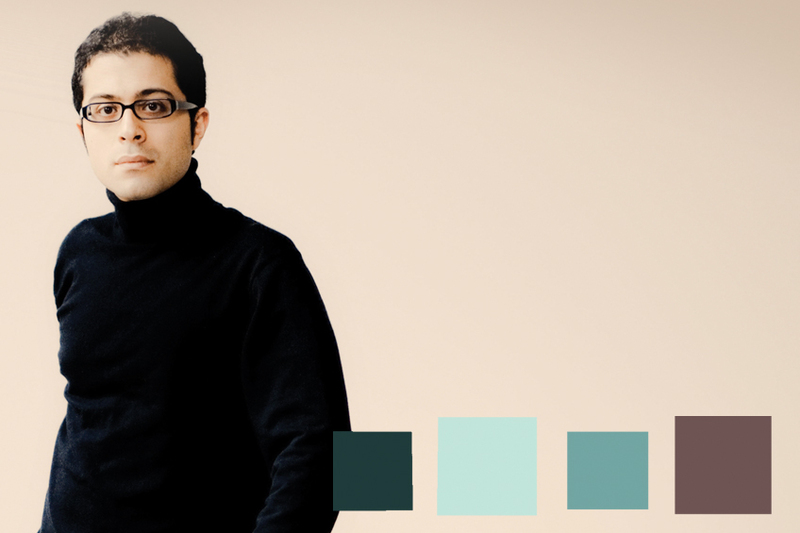 Through his groundbreaking career, Mahan Esfahani has re-introduced the harpsichord — that historical instrument best known as a favorite of Bach, and a staple of Renaissance and Baroque musical works — into the mainstream classical and contemporary concert repertoire. Born in Tehran, the Iranian-American musician studied musicology and history at Stanford University under George Houle and was mentored by Peter Watchorn and the great Zuzana Růžičková before making his London debut in 2009. He is the first harpsichordist ever to be named a BBC New Generation Artist, a Borletti-Buitoni Trust prizewinner and to nominated for Royal Philharmonic Society Instrumentalist of the Year and Gramophone Artist of the Year. He was also named the BBC Music Magazine Newcomer of the Year in 2015. He played the first BBC Proms harpsichord recital in 2011, and since then has performed solo concerts at some of the most illustrious concert halls and music festivals around the world. On Dec. 12, Esfahani will make his first appearance with Da Camera in a solo harpsichord recital, “From Renaissance to Reich,” at the Menil Collection. Q: Your father first introduced you to the piano, but as a teenager the harpsichord called your name. What is it about the instrument that attracts you? A: I think that if you’re really going to spend your life doing something, you have to essentially like it on a visceral level. So the easy answer here is to say that it’s simply a beautiful instrument with a beautiful sound and that’s enough to keep my attention for the better part of a decade already and, I hope, for a few more decades to come. Q: What do you think is the biggest misconception about the harpsichord? A: There’s a lot of nonsense said about the harpsichord, even amongst people who claim to like it, and I’m past worrying about it mostly because I’m busy doing my job! Q: Who was your most influential teacher? What did he or she impart on you? Q: Your last few years have been a whirlwind of success: Gramophone Awards, BBC Music Magazine’s “Newcomer of the Year,” commissions and more. What are you working on next? A: A young and highly experimental and adventurous builder is finishing a harpsichord that we started designing together about two and a half years ago. It’s going to be really pretty neat when it’s finished. I can’t say more about it until it’s unveiled! Also I’ll be continuing my Bach series at Wigmore Hall and look forward to a new electro-acoustic premiere in Madrid in the spring. Q: What’s the most memorable concert hall in which you’ve performed? A: The Teatru Manoel in Valletta (the capital of Malta) is probably a contender for first place, because it’s a perfect late-eighteenth-century gem of a space. The large hall of the Rudolfinum in Prague and probably the town hall in Auckland tie for second, because they prove that a harpsichord can sound really great in a large space if the latter is designed well. Wigmore Hall in London feels more like ‘home’ than anywhere else. The Forbidden City Concert Hall in Beijing is not in and of itself memorable, but the fact that about a hundred meters away I can walk where the great Ming and Qing dynasty emperors walked is probably one of the most moving things I can imagine. Q: What do you do to warm up before a concert? A: I tend, on the day of the concert, to mostly spend my time playing music that I’m not going to play in the concert; music from other recital programs, little bits of concertos and other things—the ultimate goal here to be [playing] music that I know really well, in order to be relaxed and keep my ears open and my fingers supple. A cup of tea (or two or three) also helps. I have to iron my shirt right before the concert; this is a ritual that I don’t let anyone else do. “From Renaissance to Reich,” featuring Mahan Esfahani on harpsichord, takes place at the Menil Collection on Tuesday, December 12, at 7:30 p.m.